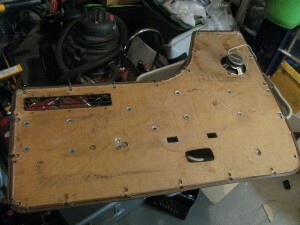 After I unclamped it from the wood, it was very straight. But some of the vinyl had come unglued over the years, and it was a little wrinkled. I decided to reglue the vinyl, and stretch it out as much as possible, in order to try and get rid of the wrinkles. 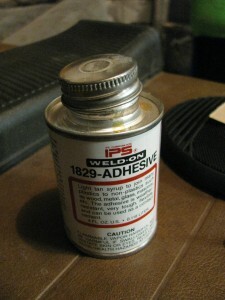 I had some of this lying around that I bought for my old 1964.5 Mustang’s headliner (and never used). This is some sticky stuff! 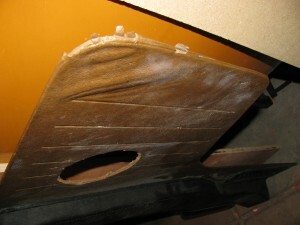 I used it to glue down part of Gus’s headliner when I was doing the windshield lip repair/front end repaint. I applied the adhesive and used binder clamps to hold the vinyl in place around the edges until it dried. 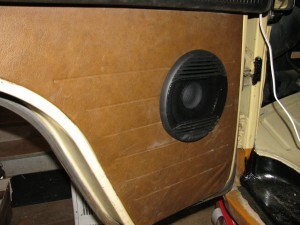 Now it was time to install the speaker. 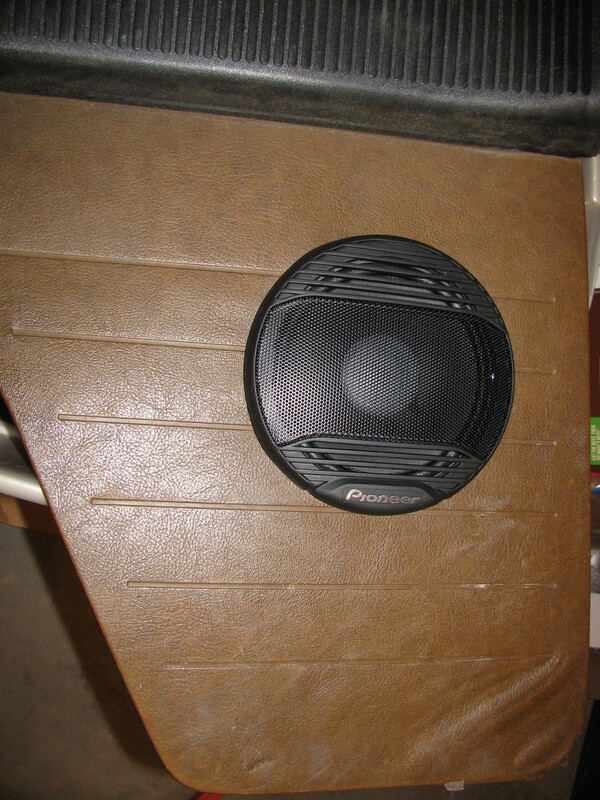 I had some never-used Pioneer speakers lying around that I got for free, and they fit the hole perfectly. I then drilled a hole through the back of the panel into the ventilation system so I could run the speaker wires through the ventilation system, which would hide the wires. 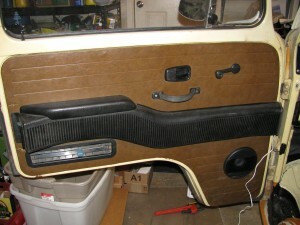 Now all I had to do was line up the door panel inserts with the holes in the door, and pop the interior panel back in. Simple. 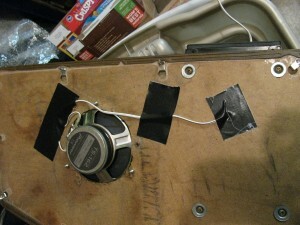 Except…the magnet on the back of the speaker kept pulling the panel over and sticking to the door. 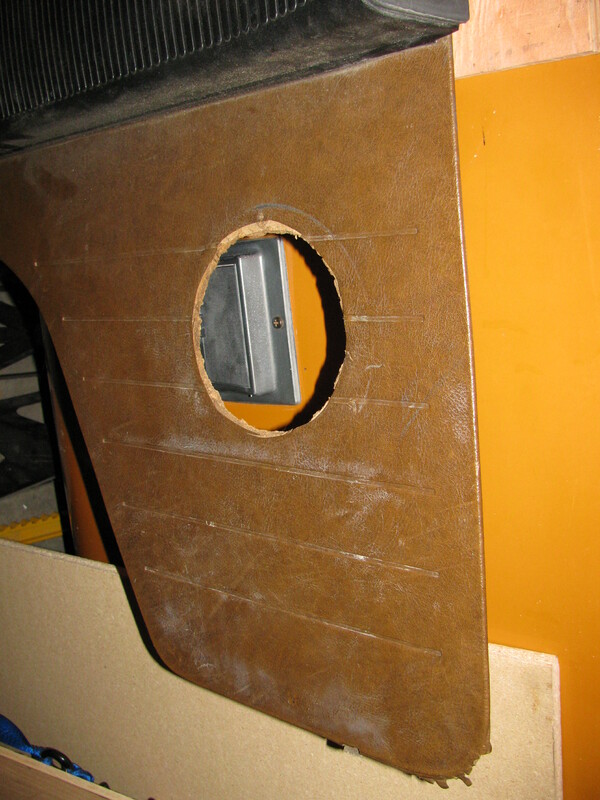 I eventually got it lined up, and popped the panel into place. 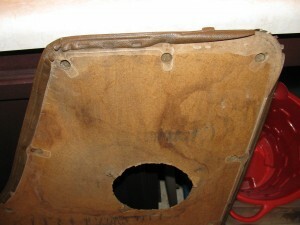 I then just had to install the remaining door hardware (door pull and surround for the door handle) – thankfully one of Gus’s previous owners had left all of the panel hardware in one of his inside drawers. 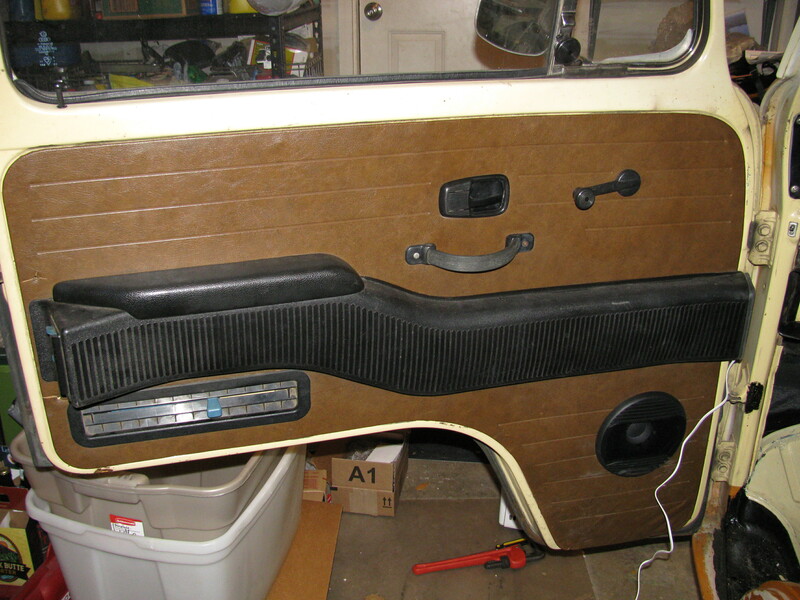 When I got Gus he didn’t have his door panels installed. 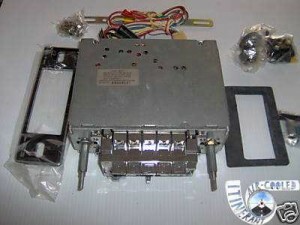 And here’s the finished results! There’s still a little wrinkle in the vinyl, but I got most of them out. I’m pretty happy with the results. 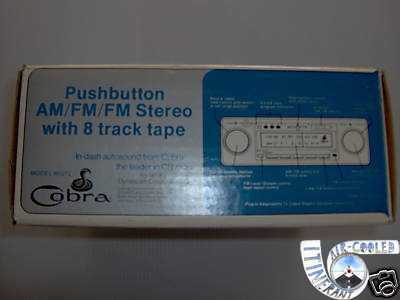 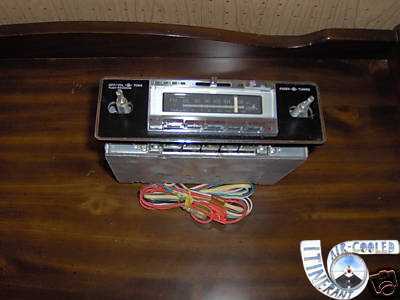 Now I just need to install the passenger door panel, and then I can hook up the new speakers to this sweet Cobra eight track player I bought on eBay a few years ago. It’s never been installed – it was in an old electronics store that went out of business. I’ve been buying eight tracks when I see them at flea markets, etc….still need to get a Three Dog Night one with Shambala on it, to complete the Lost connection.